the second round of fundrasing. if you go to my flickr account, you'll find the last few days of me on the road and my first week or so being back in nyc. 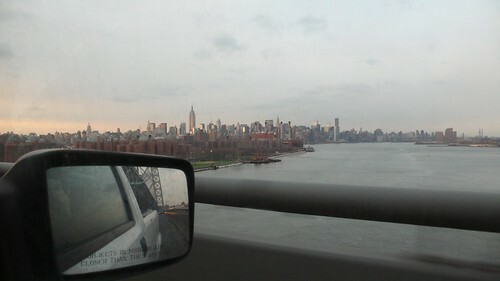 2. continue my journey in new york city. i've decided to become a new york city cab driver. while it won't bring me mad loot directly into my pocket, it gives me an opportunity to document, see and navigate the beauty of NYC. too boot, i'm also going to help out an industry that most artists overlook. there are many things left to be figured out, but as you followed this journey - here is another one for you to enjoy. check out http://taxiNYC.tv and i'll be back in a few days with some updates (aka jelly Brooklyn / NYC - BarCamp NYC 4 & my master plan to turn this into a full length documentary). Submitted by Jeff Gordon (not verified) on 19 March, 2008 - 09:03.